For a family of whitebaiters, ‘catch and not-eat’ was always going to be hard to stomach. It’s not that 11-year old Xanthe Carrig wasn’t onboard – it was her idea – but her whitebait fritter-loving mum was the one who needed convincing that their catch of the little translucent fish should be spared the frying pan just this once. And they were, much to the appreciation of Xanthe’s classmates as it meant that their project could go ahead. 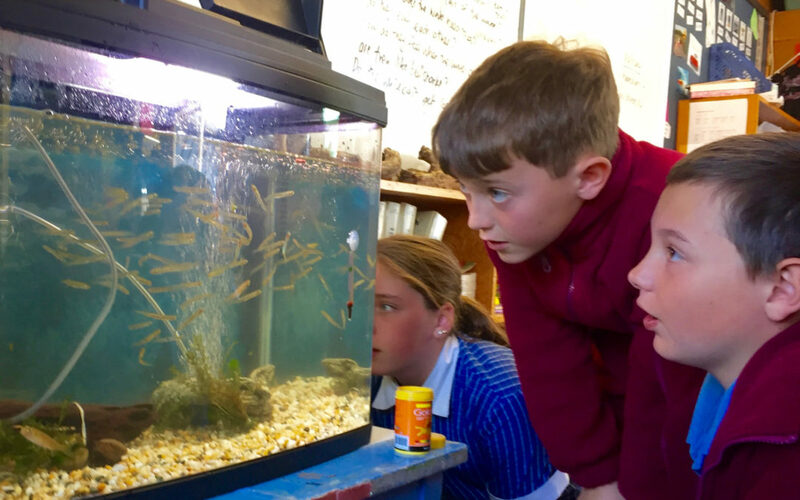 Under the guidance of Mountains to Sea Wellington, St Teresa’s Primary School in Featherston is rearing the tiny native fish in a classroom fish tank. They will monitor the water quality with regular testing, and keep a close watch on its occupants, it is hoped that the class of about 20 Year 5 and 6 students will gain a better understanding of whitebait and their habitat. Later in the term the fish will be returned to the wild, down at Ocean Beach where Xanthe and her mum netted them. The project is one of many being run by Mountains to Sea, which delivers freshwater and marine education programmes for schools and communities across the greater Wellington region. Its director, Zoe Studd, says the aim is to provide young people with the opportunity to have a greater connection to nature, enabling a more meaningful understanding of conservation issues. 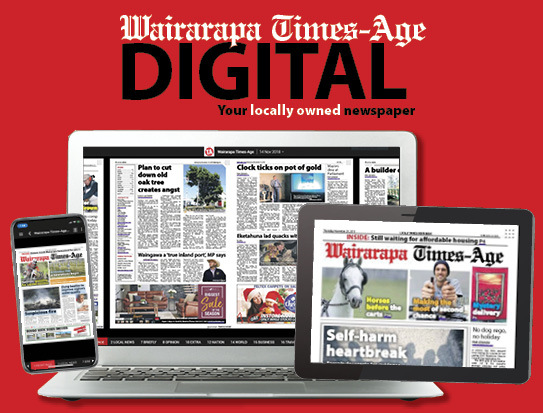 The Wairarapa Moana Wetlands Project, a joint venture involving local and central government, and iwi, was launched in 2008 with the aim of restoring this “wetland treasure”. Greater Wellington Regional Council is a key partner, and also a funder of Mountains to Sea which has been working with several South Wairarapa schools on Wairarapa Moana related projects. For the project to succeed it will require a massive collective effort from multiple partners, perhaps none more important than this new generation of conservationists. Led by the enthusiasm of classroom teacher Liz Lark, a year 7 and 8 class at St Teresa’s took part in the The Whitebait Connection. This programme focused on monitoring the health of Donald’s Stream, a tributary waterway of the Wairarapa Moana wetlands, and developing a plan to protect and enhance its plant and insect life. “We are teaching our students to become better equipped at looking after the environment where they live,” Liz says. She is encouraged by the amount that her Year 5 and 6 students already know about Wairarapa Moana — its significance and precarious state. Daniel Walker, 10, says he understands that before too long the lake will be “dead” if more is not done to look after it. For fish fan Van Rozing, 9, that would be truly devastating. He finds whitebait fascinating. An interesting fact is that other than inanga, all are “very good climbers” and can “leap really high”. It’s that inability to climb which keeps inanga downstream and in coastal areas living in shoals, making them easy prey for hungry whitebaiters.